Computer Numerical Control (CNC) machining enables us to use computers in manipulating old machines. Computers support the operations of our routers, millers, drills and centre lathes. We use CNC machining to support production operations in various industries. We have a large base of customers that access our industrial machine shop CNC solutions. Maintenance managers, plant managers, industrial plant managers, maintenance planners, maintenance supervisors, maintenance technicians, purchasing agents and bearing supply houses make up the majority of our audience. Our precision CNC lathe machine shop services enhance the efficiency of your production processes. The computers automate all your production operations, increasing your products’ quality and speed. It also takes less time because manual drilling isn’t involved. With local CNC machine services in Memphis, Tn, production only halts during maintenance. This means that your production process run 24/7. A seamless production process results from lack of fatigue or interruptions when working with machines. This results in improved efficiency. CNC cutting services have also taken manufacturing processes to a whole new level. The services lead to increased accuracy and development of similar manufactured parts. Computers program manufacturing specifications and designs, hence minimizing errors. When errors are minimized, wastage is drastically reduced. Production duplication is made easy because aluminum CNC services improve accuracy levels. Industries are also able to produce products that manual production can’t create irrespective of expertise levels. CNC machining in Tennessee supports metal sheet welding, shearing, hole punching and flame cutting to facilitate fabrication. Our services fabricate large machines with different specifications because machining supports reprogramming atop being highly flexible. Our large fabrication experts also offer large fabrication services for various equipment types such as Central Machine and Marine. Our CNC prototyping services cover various industries from the woodwork sector to manufacturing. We offer custom boring services, CNC Lathe services and CNC Mill services. We also have the equipment needed to do high-production runs and can do prototyping. Moreover, we have a highly skilled, well-trained and highly experienced machinists among our staff. Prototype CNC machining automates machining or production processes, offers higher-efficiency machining and improved output. We have more than 60 years of combined experience working on production line machinery. Many of our existing customers have been working with us since 1994 when IMS originally started. We believe this is a testament to the quality and dependability of the service we offer. Are you looking for custom CNC machining companies in Memphis, Tennessee? 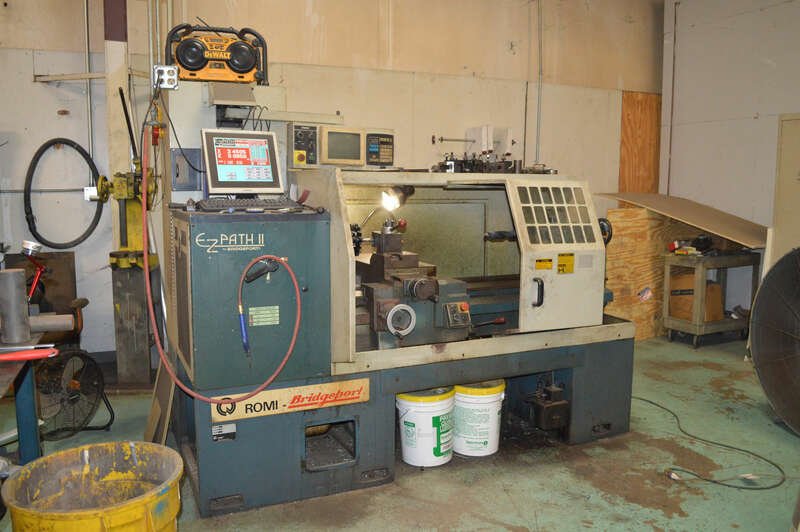 Call Industrial Machine Service Memphis today for your CNC machining services needs. Our CNC lathe and milling services support our CNC machining processes. This ensures that we use great precision specifications based on a specific external or internal surface type to manufacture parts. Various smaller operations of our CNC milling services enable different industrial parts to be created. Automation of processes help our customers decrease labor costs, leading to huge cost savings. Adherence to RoHS, ISO, ANSI, ASME and Mil-Spec standards ensure that we offer high quality machining services. Complex parts manufacture takes a short time to complete. Since many CNC machining tools can be held in our CNC lathe machines, parts development are based on specific customer specifications and requirements. We offer custom boring services, CNC Lathe services and CNC Mill services. We also have the equipment needed to do high-production runs and prototyping. Moreover, we have a highly skilled, well-trained and highly experienced machinists among our staff. Are you looking for a CNC machine company? Call IMS for your CNC lathe or CNC milling services needs.